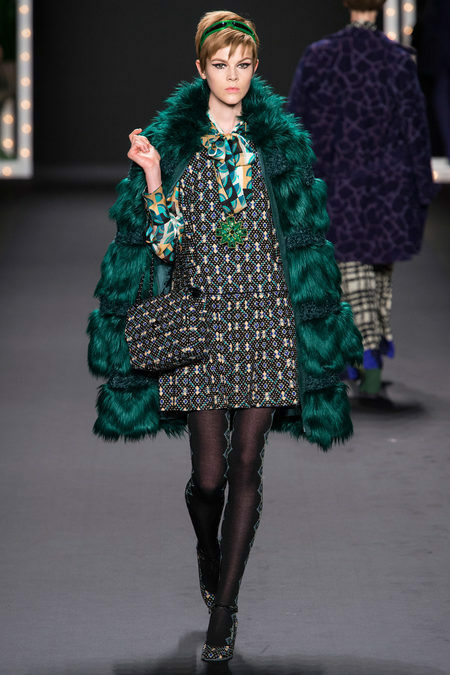 Hi Lovelies, today I want to share with you my picks for Anna Sui. I feel like the Great Gatsby has inspired designers to do retro designs. 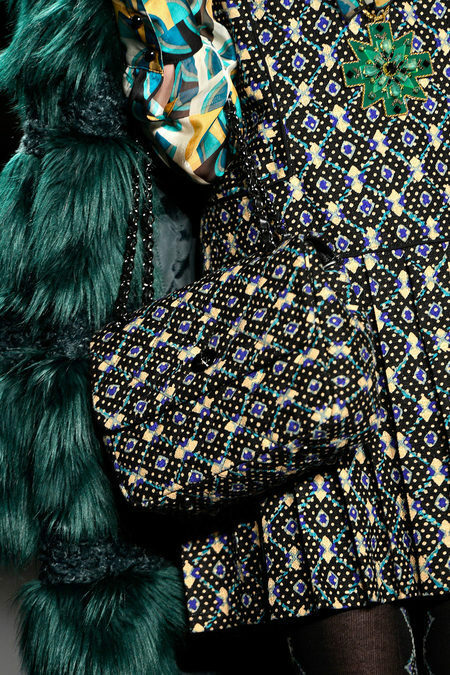 Of course, the Great Gatsby was the 20’s and for Anna Sui, I feel her inspirations were from the 60’s. This image looks a bit more yellowed. Close up detail. As you can see, very vivd and contrasting colors. 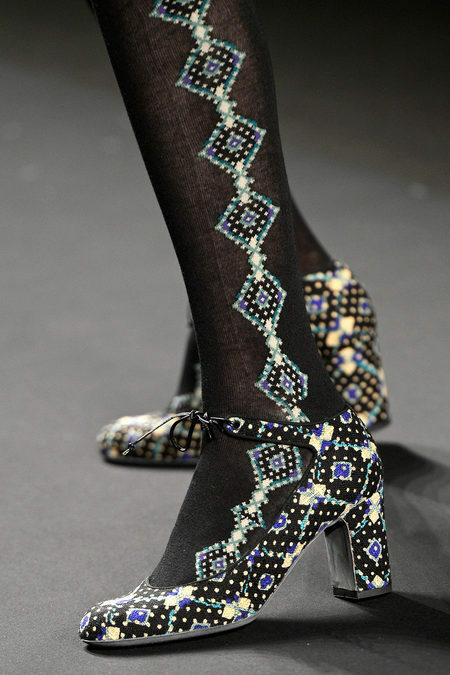 I like the socks, giving a transparency look with the colors. Close up, looking retro but with more modern pop up colors. Since Emerald Green is the color of the year, I can see why there are loads of green in the collection. 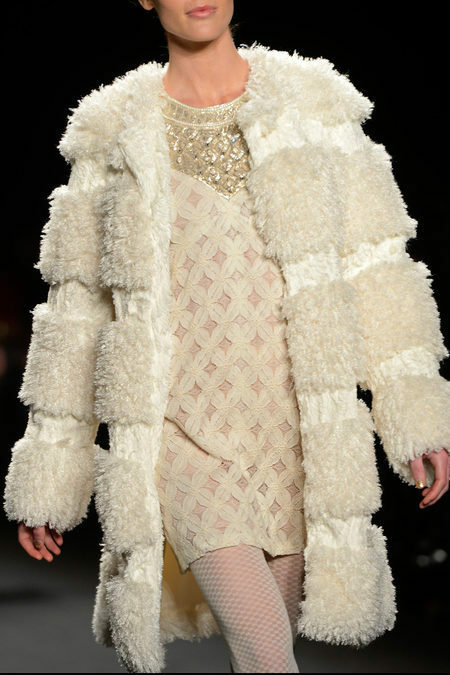 I love the furry coat, very elegant. 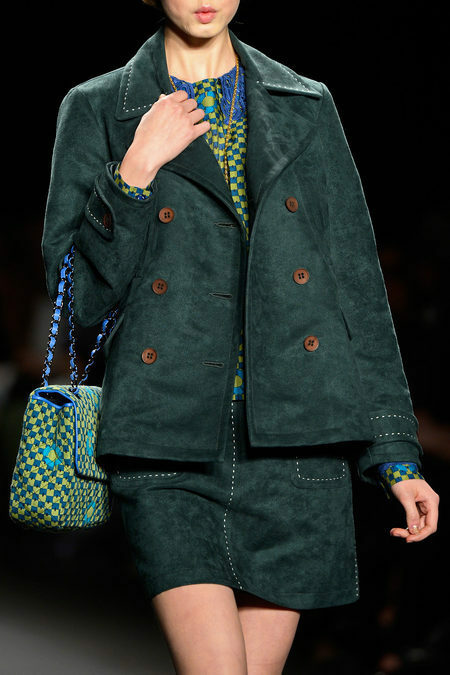 The textile pattern looks very 60’s. Having these same patterns down the stockings and shoes are very fun. Again with white or beige, doesn’t look retro, but I like the seam details. Interesting textile pattern, again looks retro & gives almost a 3D look. Looking like a classic Chanel silhouette. Using 60’s pop colors, and textile on the stockings. Which outfit/design do you like the most? What’s your favorite color of the year?